Spotted recently on a major New Delhi thoroughfare. 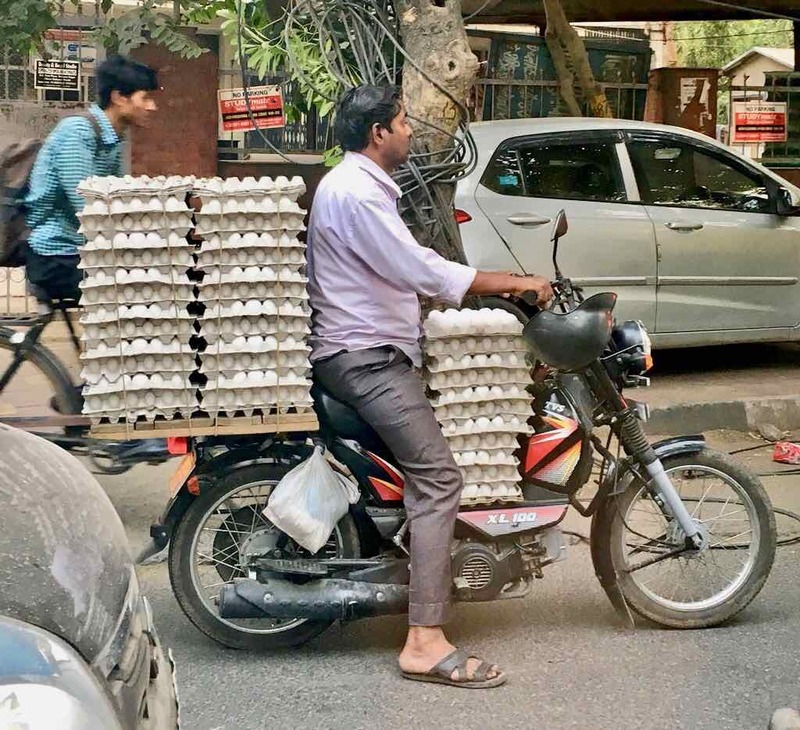 This guy must have nerves of steel given the city’s chaotic traffic and crazy drivers. Much respect.